This post was featured on Five Star Friday on May 5, 2011. Years ago, when I worked for a newspaper in El Paso, I wrote a story about the press in Juarez, Mexico. I spoke very little Spanish and had no business working on such a story in the first place. The guy who translated for me worked for a leftist weekly. He told me that one of the biggest papers in Juarez was funded, in part, by drug money, an allegation I included in my story. It was an inexcusable moral breach, and my paper was nearly sued. We’re all subject to this impulse. We’re all constantly exaggerating, amending, confabulating – trying to make our given story more worthy of being heard. But we also know when we’re lying. I used to think I wanted to write a book about my time on the reservation. The more I learned about publishing the more I let go of that desire because nothing horribly tragic happened to me there. There would be no gruesome scenes or grand romance or To Sir with Love moments. For a memoir to succeed these days it’s almost imperative for them to be even more over-the-top than fiction, so it doesn’t surprise me when I learn that parts of a memoir have been fictionalized. It’s disappointing, yes. But I can imagine reasons for it, not that those reasons make it right. I was already teaching summer session at at the high school when I was asked at the last minute to teach four night courses for the local two-year college. I’d never done this before, and the schedule was killer: a whole day of high school work, followed in the evenings by college-level work. One of the night classes was a long seminar of southwestern lit, a three-credit course that wrapped up all of its class time on one night. The other courses were intros, and the material was stuff I already knew. But my back-east university degree hadn’t prepared me to teach southwestern lit, so in addition to all my class time, grading, and prep work for the other courses, I had to learn the subject matter of this one on the fly. The reading list had been prepared for me, but I never got a syllabus, so I had to make connections between (I think eight) works I’d never read on my own. 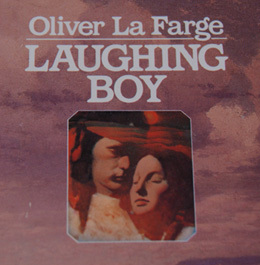 We were reading Laughing Boy by Oliver LaFarge. LaFarge was a white man (allegedly he had some distant Native American heritage) who had spent enough time among Navajo people to write a book set in their culture, a book with Navajo main characters that speaks eloquently against the encroachment of white culture on traditional ways. By the time I was teaching this book, decades after its publication, white culture had made permanent inroads; most of my students had Anglo names, listened to Anglo music and ate Anglo food, and a number of them of them had grandparents they could barely speak to because they didn’t know enough of their own language to do it. I don’t mean to say that they were strangers to their culture; they weren’t. We were in a town that attracted tourists from all over the world, and instruction in Navajo culture was available everywhere. They lived it. Many of their families made their annual income from the accommodations, restaurants, and artisan crafts that were paid for by white people who came to the reservation to learn and see and feel what that particular corner of Dinétah could make them feel. The first class discussion of Laughing Boy arrived. I don’t remember which brave soul first pointed out that he’d found a discrepancy: One of the ceremonies was happening at the wrong time of year. The hands went up. More and more students offered up their issues with LaFarge’s facts. The book was seventy-five years old and millions of people were reading the wrong facts. It would never happen that way, they said. They were reading lies. These students—teenagers to adults in their fifties—were upset. We had gotten away from the plot of the book and strayed into what responsibility LaFarge had to represent Navajo culture accurately. I was unprepared. I had been in the desert for three years and I didn’t expect that so much of Laughing Boy could have been factually inaccurate. It was late in the evening. It had been a long day and a long week. I got annoyed. How many of you, I asked, ever told a lie to a tourist? Made something sound more mystical and meaningful if you thought it would get you a higher price? Or just to have fun with a gullible bilagáana? How many of you got out of an obligation by claiming ceremonial reasons to someone who couldn’t know any better? I wasn’t angry, but I wanted them to see that the stories they told would be taken away from their land, and once that happened, the story wasn’t theirs anymore. People aren’t coming here for shopping and beaches. They’re coming to learn. You can’t fault a tourist who wants to hear the truth from you, someone who’s supposed to be living it. You are responsible for how you use your story. Could there have been good reason for the Navajo people that LaFarge met in the early twentieth century to tell him things that were not true? Of course. Some things are meant to stay secret. And of course he could have mixed up his notes or even chosen creative license. Today we have plenty of Navajo writers who create wonderful Navajo literature, and they can tell as much of the truth as they want. Or maybe they’ll choose to keep some secrets, too, and misdirect readers from the dominant culture. Some are aware that the story they tell is not just theirs to tell, and that it belongs to centuries of ancestors who could never imagine a world like this one; the best story will stand on its own whether a flute or a drum is played at a particular time. Driving home, I felt an energy that approached elation but was somehow held back by my lack of solid answers to How these things happened and Why they were offensive and Whether the story is still worth reading and What about the theme of protecting native culture against white-out? How do you argue with a dead man, an old book, your great-great-grandparents who may have lied to protect the truth of their sacred ceremonies? Fiction is a haze of intention, truth, falsehood, and fantasy captured at a particular moment of time. And it is always, always flawed. But if it lasts, it’s because it makes us feel. My high school students used to love to try to trick me into believing bizarre traditions and origin stories to see what I’d fall for; most of them would giggle uncontrollably a few sentences in and give themselves away. And maybe that’s another reason that I think I wouldn’t write a memoir of my years there; the only facts I know for sure are the ones I lived myself.